I’m not sure how it’s possible I’ve gone this far in life without have Beef Bulgogi but let’s just say that ever since having it out a few weeks back, life has been SO MUCH BETTER! After going out to dinner with some friends and eating ALL THE BEEF BULGOGI, I knew it needed to be recreated at home. It was that good. 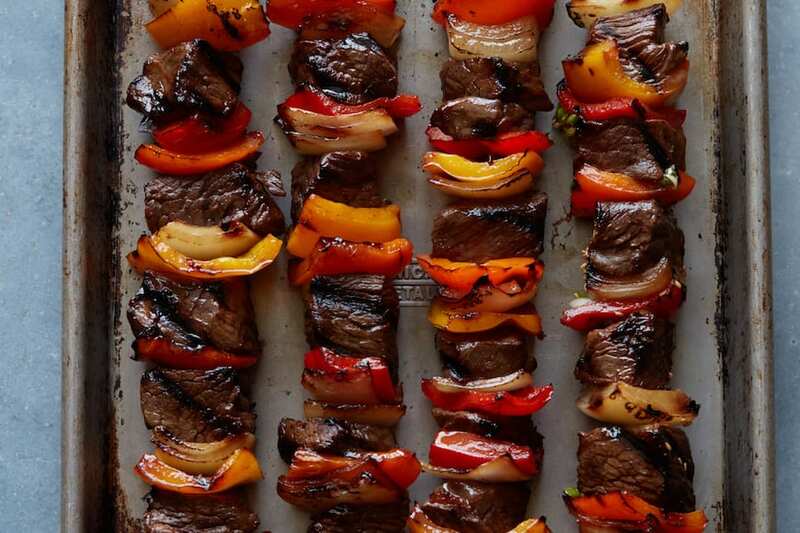 Super thin strips of beef that are marinated in a Kikkoman Sesame Oil and Kikkoman Soy Sauce mixture with tons of garlic, ginger and red pepper flakes… I mean, what’s not to love!! 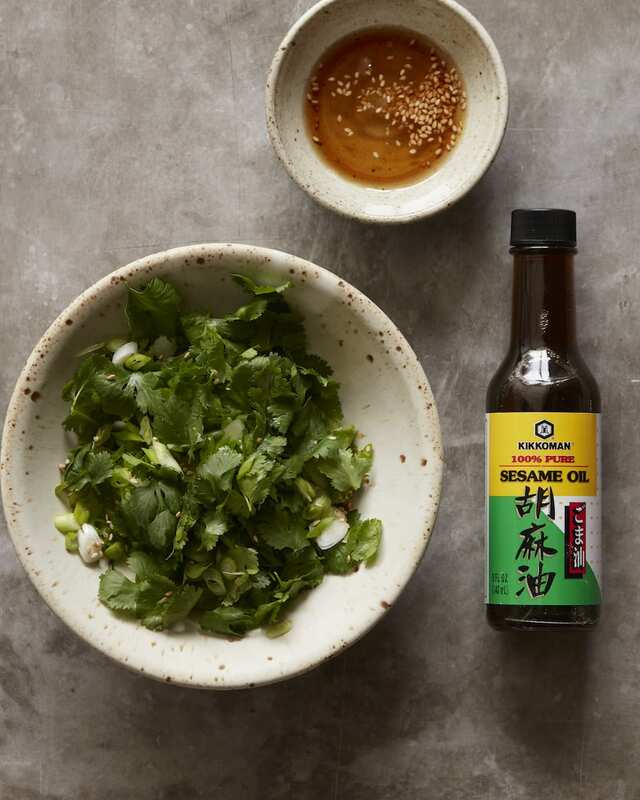 While we didn’t eat it this way when we had it at the restaurant, I gave it my California Girl spin and served it with Bibb lettuce, steamed white rice and this epic scallion salad with and sesame oil and rice wine vinegar dressing. Once you mix everything together you’re basically going to freak out with excitement and life will never be the same. A few tips and tricks before you whip this up. 1: You might want to make a double batch so you can eat some leftover Beef Bulgogi over a rice bowl the following day. Just a thought 🙂 2: Make sure you freeze the meat for 30 minutes before slicing. This allows you to slice SUPER thin strips of beef which will cook more quickly and make for the best bulgogi. 3: If you don’t want it too spicy, you can reduce the amount of red pepper flakes by half – but don’t fear – the spice really enhances the dish!! Okay – away we go!! Freeze the meat for 30 minutes before slicing. Combine the grated pear, Kikkoman Soy Sauce, Kikkoman Sesame Oil, ginger, red pepper flakes and sugar in a large re-sealable plastic bag. Using a sharp knife, slice meat into very thin strips. Add the meat to the marinade, seal bag, and mix everything together until evenly coated. Let sit at room temperature for at least 1 hour, or chill in the refrigerator for up to 8 hours. Heat 1 tablespoon vegetable oil in a large skillet over medium-high. 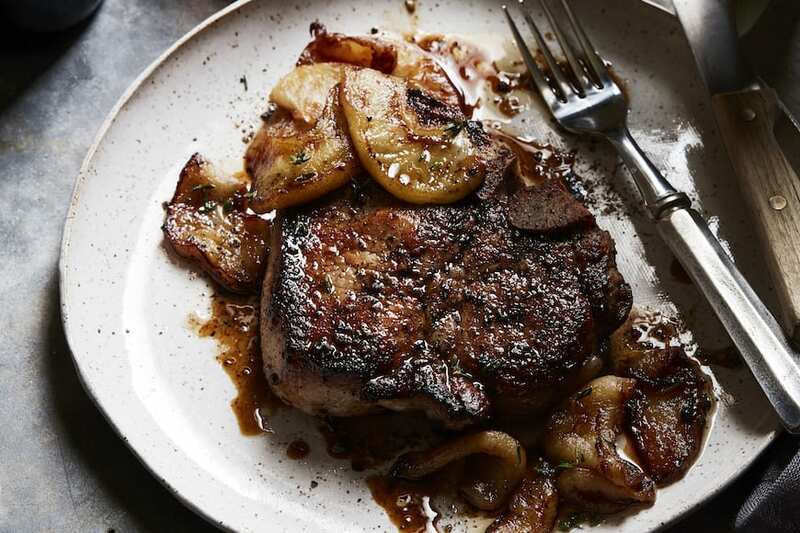 Remove half of meat from marinade, letting excess drip back into bag; season lightly with salt and cook in a single layer without moving until lightly browned, about 1 minute. Toss meat and continue to cook, tossing occasionally, until cooked through and crisp at edges, about 3-4 minutes total. Transfer to a plate. Repeat with remaining 1 tablespoon vegetable oil, remaining meat, and more salt. To make the scallion salad, combine the scallions, cilantro, Kikkoman Sesame Oil, Kikkoman Rice Vinegar and sesame seeds in a medium bowl. Toss to combine. Season with salt as needed. 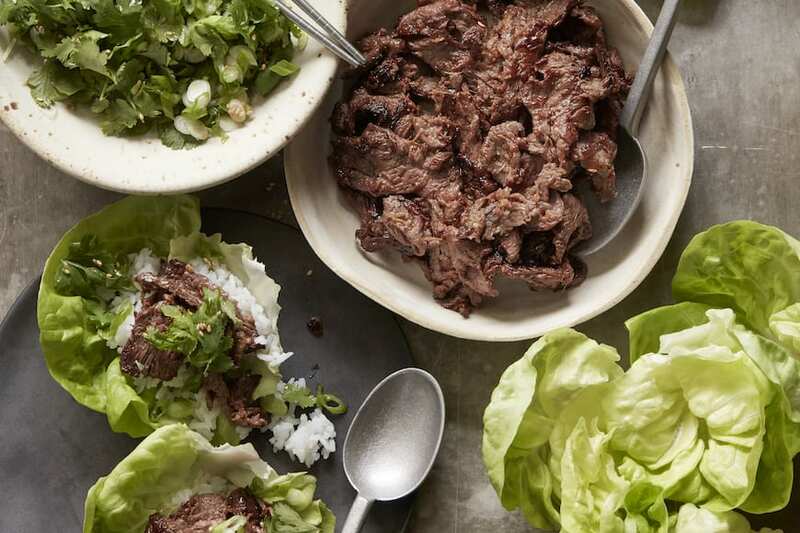 Serve the Bulgogi with lettuce cups, steamed white rice and the scallion salad. 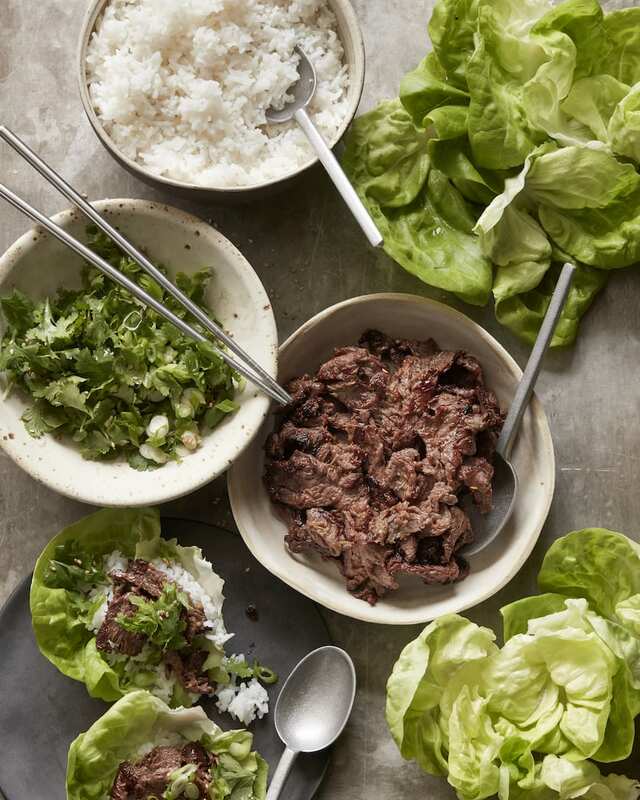 Assemble lettuce wraps as needed. Are you into it? Whip this one up for the fam and let me know what everything thinks in the comments! Be sure to visit the Kikkoman Brand Page on SheKnows.com where you can read other bloggers’ posts! Sounds delicious – can this be made with chicken or does that defeat the point?! It can! It’s called “dak bulgogi” when you use chicken. Any kind of lettuce wrap is my jam!! 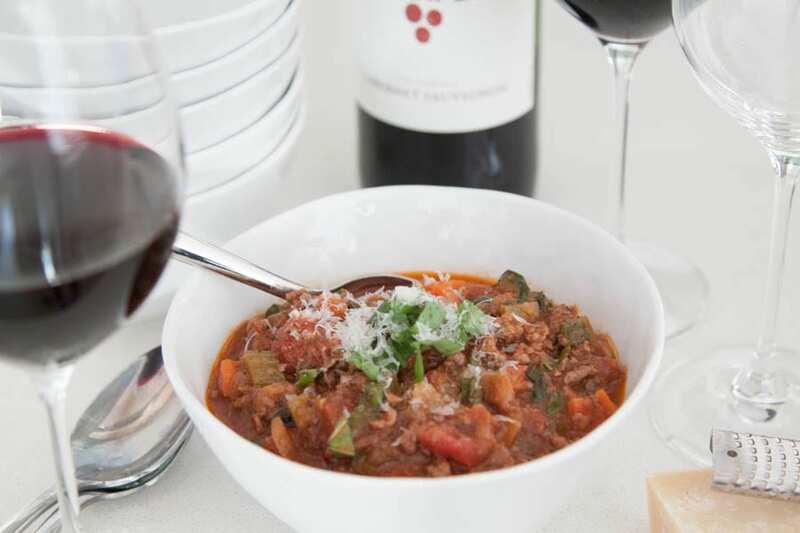 This sounds really flavorful and delicious, as well as EASY!!! I have that defective “cilantro tastes like soap to me” gene. Do you think parsley would work or just skip it? just use extra green onions / scallions! Great idea. Thanks for the tips also. Have a pleasant day ! Yah I need these stat!! Love the use of the pear in the bulgogi! I like making Chicken Fried Rice with soy sauce. ok- I am freaking out. My stomach is growling looking at these pictures and I know I have to make this! Great recipe, but I’ll be honest sometimes too many ingredients make me shy away from trying it. I love lettuce wrap though so will give it a go. Soy sauce, garlic and ginger sound like a great combination! Thanks for sharing this recipe. These wraps look delish! I can’t wait to try soon! I will definitely try this recipe! I love lettuce wraps! I have been craving bulgogi beef since I had it recently in San Fran!! This looks so good! Beef bulgogi is one of my favorite dishes EVER! I totally need these in my life! I just can’t resist a delicious lettuce wrap! Gorgeous! Look at these gorgeous wraps! Perfection! 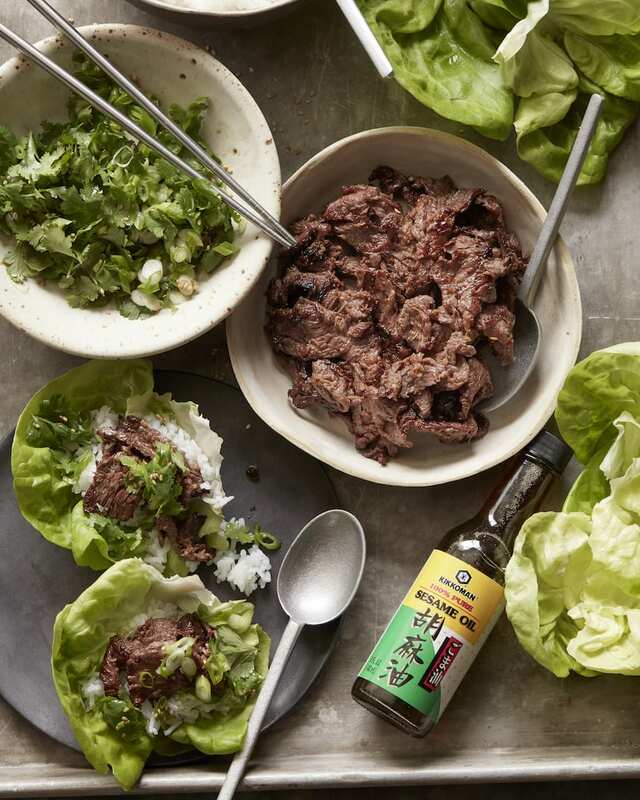 BULGOGI is one of my favorite dishes, love the Bibb Lettuce wrap idea. Now THIS is a lettuce wrap I can get on board with!! I love lettuce wraps – all the flavor and fewer calories. I’ll try this. This really sounds delicious. Going to give this a try. I would LOVE to try a lettuce wrap like this. Looks amazing!! 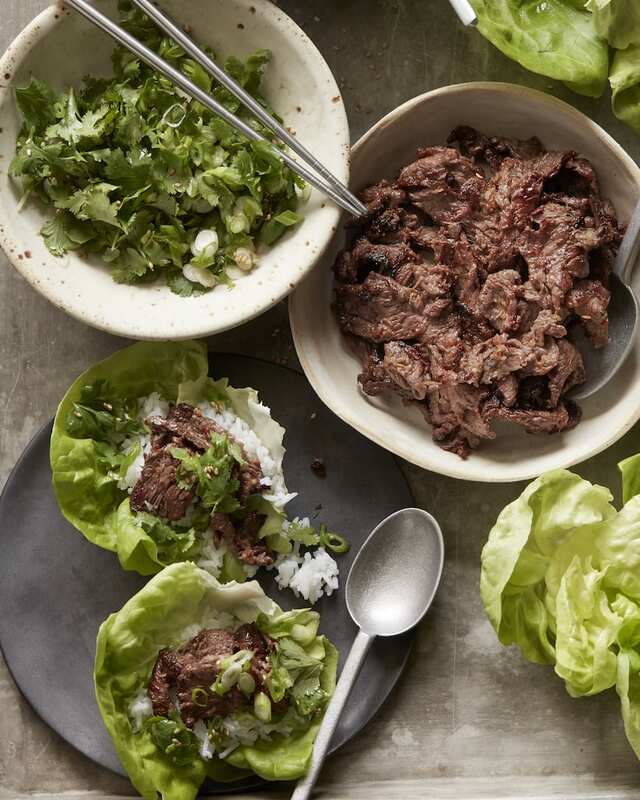 I haven’t had Beef Bulgogi in too long — I need to try this recipe at home! My kids enjoy this beef over Jasmine rice! I like to make it often with a fruit alas on the side. These are so perfect for my new diet thanks for sharing this one. I absolutely must, must make this!!! This looks amazing, I bet it packs quite the flavor PUNCH! It looks great, especially the Scallion Salad…yum! So simple but very tasty. I love this.